EMG Watches are becoming a really popular microbrand and, as both they and WRUK started at the same time, we have watched their progress closely. We got in touch with co-founder Derek Love recently to catch up on the latest news about the EMG DL63 watch and the up and coming Horizon chronograph. The DL63 is a fantastic looking watch which we reviewed back in June and which is still one of the most popular watches on our site. The watch is based on the HKED version of the Seagull 1963 Chronograph (which go for a song on eBay!) and we felt it fixed all of the minor quibbles we had with that watch. The great news is that there is now another run of watches being prepared and you can preorder one at the EMG watches website for $320. They are shipping in November so get in quick – the first run sold like hot cakes! 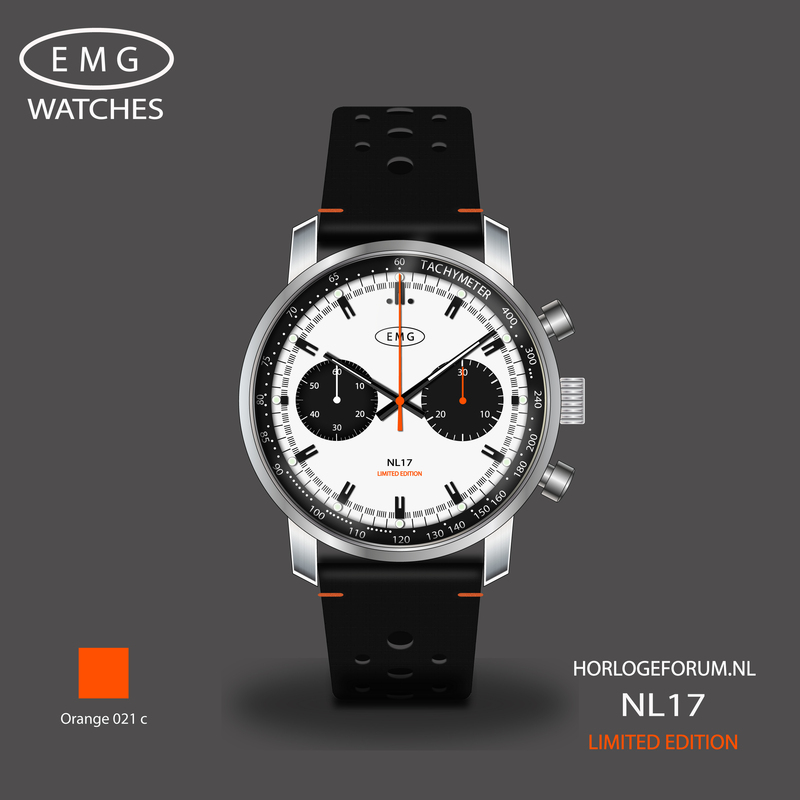 EMG were also selected to build a special watch for the Dutch watch forum Horlogeforum.nl – that one sold out very quickly and so it will be especially collectable. The next project, which we teased back in May is the Horizon. Another chronograph, but this time the case will be square, taking its design cues from the TAG Heuer Monaco. It is being produced by a new partner and promises to be a great watch – and one that will stand out from the crowd. The final design is being finalised as we type, and production of the prototypes is expected to start very soon. The colour designs are really nice for this range and we plan to get in early when preorders go live towards the end of the year, For now, you can register for EMG’s mailing list and be first in line for new. EMG only sell direct to the public, via their website. We love the brand because it is made up of enthusiasts just like us, and they put quality first and not just profit. When you choose an EMG watch you support a small business and get to wear something unique on your wrist. What’s not to like about that? Leafwood – a Wooden watch?